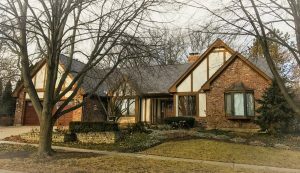 Roofing and Roofing Repair St. Charles, IL - M. Pierce Roofing Inc. Roofing and Roofing Repair St. Charles, IL - M. Pierce Roofing Inc.
M. Pierce Roofing specializes in roofing and roofing repair for St. Charles homes and businesses. Our tradesmen protect and beautify your property with skillful service and reputable products for repairs and improvements alike. Our background in roofing supply and installation further qualifies us to know which products will serve you best and how they should be implemented. We repair interiors damaged by water infiltration as well. Contact us at (630) 538-1523 to discuss our roofing and roofing repair for St. Charles. Also be sure to ask about our customer-referral gift-card program. Contact us at (630) 538-1523 for more details about our roofing and roofing repair for St. Charles. At your request, an M. Pierce Roofing representative can visit your property to assess the project you’re considering and provide an estimate without obligation. Contact us at (630) 538-1523 to talk more about the many other ways we can enhance your home or business interior and exterior in St. Charles. If destructive weather strikes St. Charles, an out-of-state ‘storm chaser’ may arrive to extend you a free post-storm inspection. That salesperson will aim to have you contract for storm damage repair with the business being represented. That company will most often use local contractors for the repair work. Once the work is done, the coordinator (and the business) will move on to the next area hit by a storm. If you have a warranty issue with the repair, you could put in a lot of extra work because the company has already set their sights elsewhere. M. Pierce Roofing is a storm damage restoration specialist for St. Charles. Just as important, we’re local. If you do run into post-repair complications, we’ll be there to address them and follow up just as you need. 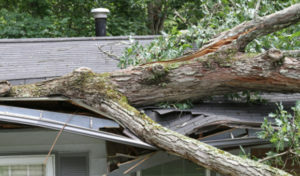 Our St. Charles storm damage restoration includes hail, wind, lightning, water damage and damage from trees. Contact us at (630) 538-1523 if you notice or suspect loss to your home or business due to a storm.